Similar to our post on the “NHL & Social Media Integration” the focus of this study is strictly on the league and team websites: how they promote and integrate social media on the website. All findings are based on research of team sites on May 7-9, 2012. • Universal top bar includes: Tweet #NBAPlayoffs button, Facebook Recommend button, Twitter Follow and Facebook Like buttons. • Home page includes callout to “Follow the NBA” with Twitter and Facebook feeds. Also includes a “Follow NBA on Facebook” callout. • Home page includes two Sprint sponsored callouts: Social Spotlight (Twitter Feed) and Playoffs Pulse (Mentions/hr Ranking). • Social Spotlight page shows 9 rotating boxes of NBA-related Tweets. • Playoffs Pulse page ranks trending players – sortable by Top Ten, Featured Topics, and All Topics. • Under “Fan Stuff” main nav tab, they include sub links for: NBA Twitter, and NBA on Facebook. • Similar to the NHL league site, there is not a lot going on here – especially when you think about all the possibilities there are. • We found no promotion of either channel on NBA.com, or on their Facebook page (although it does promote Twitter and YouTube). • The Pinterest page was easy enough to find by searching on Pinterest. The Tumblr page didn’t come up in search results on Google or Tumblr, and we finally found it via a search on Twitter. 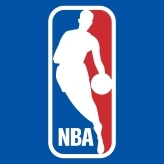 • The official NBA Pinterest page includes 6 boards and 129 pins, has 224 followers and follows nobody (interesting they don’t follow any of their teams). A lot more they could be doing with this channel. • Not really sure on the strategy for the official Tumblr page. It includes 18 total photos with no descriptions, and includes links to Twitter, Facebook, and YouTube. Noticed that all photos link back to the NBA Store. *Reminder these are activations promoted on their team site. From our Pinterest findings we know that at least 22 teams have setup accounts, but only 10 teams promoted it on their website. • Kind of shocking only 14 of the 30 teams (NHL had 18) included this, literally dropping the ball by not doing this. It’s a no-brainer. Side-note: don’t recommending hiding these links on the bottom of your site even it is universal – there is so much content on these templates they just get lost by the time a user gets down to the bottom of the pages. • Interesting to see how many teams actually had channels like Pinterest activated, but then didn’t promote it all within their site – doesn’t make any sense. Great example – Andy Pawlowski, who does a great job with the “Digital Hoops Blast” blog, just had a recent post on the Lakers’ use of Instagram, but like way too many team sites (not just the NBA) the Lakers don’t even promote their account anywhere on their site. • Another way to help promote your channels is to move up the Social Media sub-section tab to the first spot. For example under “Fan Zone” on Golden State’s site the first option is “Warriors Social Media”, whereas under “Fan Zone” on Washington’s site they have “Social Media” listed as the 11th of 14 options. There’s no rule you have to keep these in alphabetical order, so move it up to the top spot. It’s important to note there are several teams that have created fan networks (ie Chicago – Bulls Connect, Cleveland – CavFanatic, Minnesota – Wolves Nation, Phoenix – Fan Hub, Utah – UtahJazz360), but there is a clear difference between these platforms and a true Social Media hub. Many of these will include a Twitter feed or an account directory, but there is so much else going on they give off a different feel and don’t fully integrate all channels. We’d recommend those teams that have opted to go the “Network” route to also consider a strictly social media-focused hub, it’s that important. • We noted that all 30 NBA teams included internal page sharing options on all or some pages – be it either the universal left side scrollable share feature, Tweet/Like/Pin it buttons, Meebo tool bar, or a Share button. Good idea to include this feature on all your pages. • We’re not really fans of how the Hawks have their hub set up creatively and it’s missing some features that would add depth, but we love that their hub includes a sponsor – Georgia Lottery. Every team’s social media activations should be sponsored (either individually, or as a group) with recognition on the specific channel as well as the team site. Props to the Hawks for being one of the only teams we’ve seen so far that has gotten proactive in this area. • Celtics get credit on two fronts: for doing contests on their social media channels, and for properly marketing them. Two main examples in this case are “3-Point Play” on Facebook, and “Pin It to Win It” on Pinterest. They even went a step further and created unique logos for each contest. We like how they actively promote each contest right on their home page and throughout their site (Home page Facebook tab, Social main nav drop-down, Contests & Promotions page – “Pin it to Win it” was also on the home page for a good amount of time). • Really like how the Nets use big icon logos (Twitter, Facebook, Instagram, Pinterest, Google+) on the bottom of the home page. Just wish it was universal throughout the site. • A total of nine teams integrated the universal left side share scroll feature (Dallas, Detroit, Golden St., LA Clippers, Memphis, Milwaukee, New Orleans, Phoenix, Sacramento, Utah). The Mavericks version includes share functionality for: Pinterest, Facebook, Twitter, and Google+. • Not trying to pick on the Pistons, but they actually offer an example for other teams on how not to organize things. The left side share feature includes icons for Twitter, Facebook, Pinterest, and Instagram (Twitter & Facebook links goto internal directory pages). Unfortunately this feature is not universal, and none of the main nav dropdowns include promotion of these four features. They instead opt to promote the Twitter and Facebook pages in the bottom footer nav, but then they forget the Instagram and Pinterest links and include YouTube. Gives off a very unorganized impression. •We could have used a number of other teams in this example, so highly recommend to all teams to do an annual social media integration audit. • The Warriors make it pretty damn hard not to know about their social media efforts. From universal icons and graphical callouts, main nav sub-links and graphics, footer nav links, to a detailed social hub page – we like how aggressive they are. • Similar to the Celtics, the Warriors are really doing some cool activations through their social media channels. From their hub page we immediately were drawn to the “Participate” callout which outlines five different ways the Warriors are engaging: 3-Point Play for Social Journalists, Facebook Check-In Deals, Tweedia Day, #GSWTweetup 2012, and #DubTheVote. Great job by the Warriors! • The Bucks are really hard to figure out because they do a lot of things right, and a lot of things wrong. Check out their activation overview below. • Timberwolves offer a Social Media module from FanChatter in the middle of the home page that features three feeds from Twitter and Facebook: Chatter, #KLoveMVP, and Featured. So far Timberwolves are the only team using the application that we’ve seen, so will be interesting to check back and see if any other teams utilize it. • We were a little surprised to see a continual bottom right corner pop-up ad for the Hornets’ “Honeybees” cheerleading squad’s Facebook page, but we like the integration of a sponsor (Crystal Hot Sauce). As we mentioned before, we strongly believe all teams can and should have sponsors for all their social media activities, and the Hornets provide a good example. Also important to note that they carried the sponsorship through to the actual fan page cover photo. • Like the move by the Knicks to include their player’s own Twitter feed on their player profile page. Not sure you need to create a separate site like the Knicks to do it on, seriously why do it on KnicksNow.com and not on the main team site (ie Carmelo’s page on the main site links over the NBA.com player profile page). • One side note to pulling in player feeds is quite frankly sometimes the content is offensive and would not be a good reflection upon the team’s brand. By pulling it into the main team site you’re making that association with the player that much closer so we understand there may be some hesitation on the team’s part. As much as possible remember to educate your players on the best uses of social media channels, the negative ramifications certain types of content can have on their brand, and that what they do is in fact a reflection on the team’s brand as well. Great example by the Celtics with their “Tweet Dashboard” that includes this disclaimer: Content featured below is generated by independent Twitter users and is not endorsed by the Boston Celtics. • Nice job by the 76ers of including Facebook Timeline Cover photos for download. Also like the fact they include this page as a sub-link in the “Social” main tab dropdown. • The Trail Blazers include an interesting feed module under the “Social Activity” header on their home page. It includes feeds from their Facebook, Instagram, Twitter, Google+, and Tumblr channels, and is sponsored/powered by Wells Fargo. Users can also filter the feed to view all or individual channels. Would really to like to see this module as part of an overall social hub on the Blazers site, and also noticed that the Wells Fargo branding was not carried through to any of the channel pages – could be an opportunity to increase the sponsorship package by including branding across all channels. • We noticed that other teams promoted season and playoff hashtags on their sites, but only the Kings included a Tweet button off their site that auto-includes the hashtag (similar to the NBA’s “Tweet #NBA Playoffs” button). Expect to see this feature implemented on all team sites very soon. • Really like how proactive the Kings are trying multiple social media channels and also promoting them on their site: Twitter, Facebook, YouTube, Google+, Instagram, Pinterest, Tumblr, Foursquare, Linkedin, PicPlz, Wayin, and Quora. As impressive as that is, they need to be careful with accounts that are becoming outdated: PicPlz hasn’t been updated in 9 months, and Quora hasn’t been used in 15 months. • The Kings also deserve props for the multiple accounts they promote: Tumblr team and dance team; Instagram team and specific #KingsAllDay hashtag; Facebook team, dance team, mascot, community, team store; Twitter team, dance team, mascot, community, team store. • There’s no question, the Kings have clearly done the best job of social media integration on their team site. The Kings are just solid across the board: making it easy to share content, promoting their channels throughout the site, integrating a well done hub, and they’re not afraid to try new channels with a league high of 12 activations. Would like to see them raise the bar even more by adding a social name-related content main navigation section tab. • Toronto does a good job by including universal large icon logos for their Twitter, Facebook, and YouTube channels along the bottom footer of the site. • Raptors also do a good job with their player and staff Twitter listing format by using a photo and “Follow Me” call-to-action, and including an icon option to view a bio or recent Tweet. • Four teams (Milwaukee, Philadelphia, San Antonio, Utah) include promotion of their Flickr accounts. This post isn’t about the management of individual channels, but since so few teams promoted it we checked out each team’s account: Milwaukee and Philadelphia do a good job keeping it updated; San Antonio tailed off this year with only 5 images from 2012; and Utah hasn’t updated theirs since 2011. • From the lack of Instagram feeds on team sites, there appears to still be a development learning curve on the best way to fully integrate the channel. Three options we saw from the Celtics, 76ers, and Kings: scrolling list via Feed or posted manually, put them in a Flickr set and feed it in, custom housing with a lightbox click-up. One thing we didn’t like about any of options is the lack of a date so fans know how current they are. Like the Kings creativity the best so far, and it will be interesting to see how this plays out with other custom development options. *Trail Blazers also do a good job of including Instagram in their home page “Social Activity” feed. • Three teams (Phoenix, Portland, Washington) included the bottom page Meebo.com bar. In our post on the NHL we said it was a universal bar, but it can in fact be reduced out of view if the user choses. Between the two leagues that makes only 7 out of 60 teams that are using it. • We were very surprised to see not one, but two teams (Dallas and Milwaukee) promoting Myspace pages. For Milwaukee they use the Stream to feed in Twitter posts, but their last video was from 2009 and it features Charlie Bell who is no longer on the team, and their last blog post was from 2010. For Dallas they have what seems to be the original template and they include a top Twitter feed (one post), but then they showcase blog posts talking about the ‘Must See Games of 2010-11’. First time we’ve seen a team promote the PicPlz channel. Unfortunately the Bucks haven’t updated their account in five months, and the Kings even worse last updating theirs nine months ago. Debated whether we should even give either team credit for this in the number of overall activations count. Only time it makes sense to not promote your social media channels – when you don’t frequently update them. • Four teams (Brooklyn, Philadelphia, Portland, Sacramento) included promotion of Tumblr accounts. We feel the value and strategy behind a Tumblr account is still evolving for teams, but a couple things we look for: frequency of updates, inclusion of the post date, design scheme, and listing other social media account links or including a feed. Based on those criteria we’re giving the edge in this category to Brooklyn. They’ve kept it updated, included dates, chosen a design scheme that fits their brand, included links to their Twitter and Facebook accounts, and we also like how they’ve used a nav to help categorize their posts: Landmarks, Events, Culture, Dining, Shopping, Nets, Barclays Center. • Do not include any universal icon links. • Minus the home page, they include universal Tweet and Like buttons. • Universal footer includes links for: Player Twitter/Websites, Facebook, Twitter. Very hard to see/find. • Home page includes a graphical callout for their “Social Hub” – needs to be on every single page. • Under “Team” main nav tab, include sub for “Player Twitter/Websites”. • Under “Highlight Factor” main nav tab, include subs for: Hawks Social Media Hub, Hawks on Facebook, and Hawks on Twitter. • “Hawks Social Media Hub” includes feeds for Facebook, Twitter, YouTube, and Google+. Includes a presenting sponsor: Georgia Lottery. • Include a universal “Social” main nav tab. • Minus the home page include a universal Celtics on Twitter feed button along bottom right column; Celtics on Twitter graphical callout along bottom; and in Quick Links along the bottom include: Celtics 3-Point Play, Facebook, Twitter, and YouTube. • Home page includes feeds for Facebook and Twitter, graphical callouts for “Pin it to Win it” and “3-Point Play” promotions. Also under “Connect” in footer include links for Facebook, Twitter, YouTube, and Google+. • Player profile pages includes share options for: Like, Tweet, +1 – also includes link to player’s individual Twitter accounts. • Under “News” main tab include subs for: Facebook Fan Page, Twitter, Twitter Dashboard. Twitter Dashboard includes feeds for tweets on each player. • Under “Social” main tab include subs for: Facebook Fan Page, Celtics 3-Point Play, Dancers on Facebook, Twitter, YouTube, Google+, Instagram, Pinterest. • Main Social page includes info on Facebook, Twitter, Twitter Feed, and YouTube Feed – not setup as a hub though. • Under “Video” main tab include a sub for YouTube. • Under “Fans” main tab include a sub for Facebook, Twitter, and YouTube. • Include universal Facebook and Twitter icon links in the top header. • Bottom universal nav footer links includes their seven channels under “Connect” – hard to see. • Internal pages include Like, Tweet, +1 share feature on bottom of the page. • Some interior pages include a Facebook Like callout along the right ad column. • Home page includes Social Media tab with a Twitter feed. • Home page also includes a bottom scrolling showcase bar with graphical links for Twitter, Facebook, Instagram, and Pinterest. • Under “Connect” main tab includes links out for: Facebook, Twitter, Tumblr, Google+, Pinterest, Instagram, and YouTube – missing a hub/directory main page. • Bottom universal footer nav includes links for @TheLadyCats Twitter, @Bobcats Twitter and Facebook. • Home page includes a tabbed callout that has a Twitter feed, and Facebook Like callout. Also includes a Facebook callout graphic lower down the page. • Internal pages include Share button. • Under “Lady Cats” main tab includes a sub link for @TheLadyCats Twitter. • Under “Fans” main tab includes subs for Twitter and Facebook. • Fans main page includes icon links for Twitter and Facebook, and also a “Bobcats Tweet Sheet” page that lists out accounts from players/staff/etc. on Twitter as well as a feed. • Include universal icon links for Twitter and Facebook. • Home page includes a “Bulls Connect” callout with tabs for Facebook Like, and Twitter feed. • Internal pages includes Tweet, Like, +1 buttons. • News archive pages includes a callout for Twitter. • Bottom universal footer nav includes links for: Cavs on Facebook, Cavs on Twitter, Cavaliers on Pinterest. • Home page includes a bottom tabbed callout that has a “Social” tab –reveals a Twitter feed. • Internal pages include Like, Tweet, Share, +1, and Pin it buttons. • Under “Connect” main tab includes graphical callouts for Facebook and Twitter, and subs for: Cavaliers on Twitter, Cavaliers on Facebook, and Cavaliers on Pinterest. • Cavaliers on Twitter and Cavaliers on Facebook pages go to pages within the CavFanatic.com site to reveal Twitter feed – Facebook Like calllout and account listings under each. • Include a universal Twitter follow button in the top header. • Bottom universal footer nav includes links for: Mavs Facebook, MySpace, Twitter, and Twitter accounts for Dancers and Mascot. • Bottom universal graphic footer includes Facebook Like callout, as well as a “Connect” button tab with links to: Twitter, Facebook, MySpace. • Myspace callout includes following text: 1st pro team on a Social Network is still thriving! – Our check of the page (link) showed it to no have been updated since the 2010-11 season. • Pages includes a universal Share feature along the left column for: Pinterest, Facebook, Twitter and Google+. • Under “Interactive” main tab includes a sub for Mavs Social Networks – page has a graphic with icon links for: Facebook, YouTube, Twitter, Myspace. • Bottom universal footer nav includes links for: Facebook and Twitter. • Home page includes a callout with tabs for Facebook and Twitter feeds. • Internal pages include Tweet and Like buttons. • Under “Social” main tab include subs for: Facebook, Twitter, YouTube, Google+, as well as Dancers Facebook and Twitter accounts. Tab is located in next to last position & no hub/directory page. • Bottom universal footer nav under “Pistons on the Web” includes: Facebook, Twitter, YouTube. • Home page includes a scrolling button with: Like and Tweet buttons; Twitter/Facebook internal pages, Pinterest and Instagram. • Home page includes a callout with tabs for Twitter (feed), Facebook (Like callout). • Interior pages include a Tweet and Like buttons. • Twitter/Facebook internal pages include Twitter feeds and Facebook Like callout boxes from players/staff. • Pistons strategy raises following questions: why not carry through the scrolling share/SM feature, and why aren’t the Facebook and Twitter account listings pages sub-links in any of the main nav dropdowns?? • Include universal Facebook and Twitter icons in top header. • Include universal share feature with Like, Follow, +1 buttons on left side scroll. • Bottom universal footer nav under “Connect” includes links for: Social Media, Facebook Twitter, YouTube, Google+. Footer also includes a Social Media callout graphic. • Home page includes a callout with tabs for Twitter and Facebook – graphics are squeezed into the box though. • Include “Stay Connected” banner in bottom area on majority of pages with links to Social Media main page, Facebook and Twitter. • Under “Team” main tab includes subs for: Facebook, Twitter, and YouTube pages, Social Media, and a Social Media graphic callout. • Under “Fan Zone” main tab includes sub for Social Media in first spot, and a Social Media graphic callout. • Social Media page includes: Facebook and Twitter feeds; Twitter account listing; graphical callouts for Google+, Instagram, and Pinterest; Facebook check-in callout; #LetsGoWarriors Hashtag feed; YouTube feed, and a Participate callout showcasing their various social media promotions (good example: Tweedia Day 2011). • Include universal icons for Twitter and Facebook. • Splash page includes Tweet and Like share features. • Some internal pages include Like and Tweet share features at the bottom of the page. • Bottom universal footer nav under “Red Nation” includes links for Twitter and Facebook. • Home page includes a callout with a Red Nation tab with links for: Twitter, Facebook, and Rockets on Twitter list. • Under “Multimedia” main tab includes subs for Twitter and Facebook links out. • Does not include any universal icon links. • Internal pages include icons for Facebook , Twitter, and a share button. • Home page includes a callout with tabs for Twitter (feed) and Facebook (Like callout). • Under “Community” main tab includes subs for Twitter and Facebook links out. • Does not include universal icon links. • Home page includes left side scroll share features for Like and +1, and Follow. • Bottom universal footer nav under “Fan Stuff” includes links for Facebook and Twitter. • Home page includes callout graphics for Facebook and Twitter. • Internal pages include the left side scroll share feature for Tweet, Like and +1. Follow changes to Tweet. • Most internal pages include feeds for Facebook and Twitter. • Under “Clipper Nation” main tab includes sub links for Facebook and Twitter. • Include universal icon links for Facebook and Twitter as part of top header. • Internal pages include Tweet and Like share options. • Home page includes Twitter feed callout. • Bottom universal footer nav under “Social Media” includes links for Facebook and Twitter. • Under “Multimedia” main tab includes sub links for Twitter and Facebook. • Home page includes left side scroll share feature for Like, Tweet, +1. • Home page includes a callout with tab for Social that includes Twitter and Facebook links. • Bottom universal footer nav under “Team” includes links for Twitter and Facebook. • Under “Team” main tab includes sub links for Twitter and Facebook. • Include universal icon links for Twitter and Facebook as part of top header. • Bottom universal footer nav under “Interact” includes links for Tweet with the Heat, Facebook, and YouTube. • Internal pages includes share button. • Under “Social” main tab includes sub links for Facebook, Twitter, YouTube, Jason Jackson on Facebook, @MiamiHeat, Eric Reid on Twitter, Eric Reid on Facebook. • Twitter sub goes to page with account listings (4). • Home page includes left side scroll share features for Like, +1, Follow @Bucks, and Pin it. • Twitter callout on home page links to a page with account listings and a feed. Page is not referenced anywhere else on the site. • Internal pages include the left side scroll share feature for Like, +1, Tweet, and Pin It. Follow changes to Tweet. • Most internal pages include their Facebook feed along the right column. • Bottom universal footer nav under “Follow Us” includes links for Facebook, Twitter, MySpace, YouTube, and Flickr. • Myspace account includes a Twitter feed on the first page, but Photos are dated 2008, videos 2009, blog 2010 – not a good idea. • Under “Bucks 2.0” main tab includes sub links for: Twitter, Facebook, YouTube, Flickr, Foursquare, PicPlz, Pinterest, and Linkedin. • Great lead-in with the 2.0 section name, missing an opportunity for a hub. • It’s the first time that we’ve seen a team promote the “picplz” channel. In checking Milwaukee’s they haven’t updated it in 5 months. • From their PicPlz account they link a Tumblr page , but you can’t find that anywhere on their site?? • Under “Fan Fun” main tab include sub link for Desktop Backgrounds, and that page includes Facebook Timeline Covers. Why is it under Desktop Backgrounds?, and why is it not listed under the “Bucks 2.0” section?? • Include universal icon links in top header for Facebook, Twitter, YouTube. • Bottom universal footer nav under “Fan Zone” includes links for: Wolves Twitter List and Photos (links to Facebook albums); and under Wolves Nation” includes links for: Facebook, Twitter List, YouTube, and Google+. • Home page includes Social Media callout that features a plugin from FanChatter – allows posts to Facebook or Twitter; and Twitter feeds under tabs for: Chatter, Matchup, #KLoveMVP, and Featured. • Home page includes scrollable callout under Fan Zone header that includes graphics for: Twitter, Facebook (2nd set), YouTube (3rd set). • Internal pages include Facebook share and Twitter retweet share buttons. • Under “Fan Zone” main tab includes sub links for Wolves Photos (links to Facebook albums), and Wolves Twitter List. • Under “Wolves Nation” main tab includes sub links for: Facebook, Twitter List, YouTube, and Google+. • WolvesNation goes to a new window and the page includes feeds for: YouTube, Facebook, Twitter, and Foursquare. Facebook and Twitter aren’t really feeds, just account listings. • Wolves on Twitter opens a new window to display a account listings and a feed. • Includes a universal left side share features for Like, Tweet, and +1. This features also includes icon links for Twitter, Facebook, and Instagram (only place there is a link for this). • Home page includes a callout for Social with links for: Twitter, Facebook, YouTube. • Home page also includes bottom scrollable graphical callout that include one for Facebook & Twitter. • Bottom universal nav callout “Social Media” includes links for: Facebook, Twitter, Google+, and YouTube. • Includes a pop-up in the bottom right footer to follow the Honeybees on Facebook. • Under Player Websites sub-page link they list only one player with a website, and others have Twitter handles. • Under “Entertainment” main tab includes a sub link for Hugo on Facebook. • Most internal pages include a “Be Connected” row with links for Twitter and Facebook, as well as Tweet and Facebook Share buttons. • Most internal pages include Tweet and Like buttons. • Bottom universal nav callout “Connect” includes links for: Facebook, Twitter, Instagram. • Home page includes tab callout for Facebook Like and Twitter feed. • Under “Connect” main tab includes sub links for: Facebook and Twitter. • All main nav tab include a Facebook graphical callout upon rollover. • Knicks also promote “Knicks Now” within Connect main tab, and a home page graphical callout. • KnicksNow.com includes universal icon links for: Facebook, Twitter, Google+, as well as a callout to Follow the Knicks on Facebook and Twitter on every page. • KnicksNow.com home page includes a Twitter feed. • KnicksNow.com player pages include their Twitter feeds. • Home page includes tab callout that includes Twitter feed, and Facebook Like callout. • Bottom universal nav callout “News” includes links for Twitter and Facebook. • Under “News” main tab includes sub links for Twitter and Facebook. • Internal pages include a Share button. • Home page includes a tab callout that includes a Twitter feed. • Under “Multimedia” main tab includes a sub link for YouTube. • Under “Be Social” main tab includes sub links for: Facebook and Twitter (Espanol options for both). • Be Social main page includes large icon links for: Twitter, Facebook, YouTube, and Google+. • Internal pages include Facebook and Twitter share, and Share buttons. • Bottom universal nav callout “Interactive” includes links for: Twitter, Facebook, YouTube, Flickr. • Home page viewer callout includes Facebook Cover download slider. • Under “Social” main tab includes sub links for: Facebook, Twitter, Players & Staff on Twitter, YouTube, Flickr, Instagram, Google+, Foursquare, Pinterest, Tumblr, and Facebook Cover Photos – missing opportunity for a hub page. • Instagram page includes Flickr image viewer of the instagram photo set. • Players and Staff on Twitter links to page with “Sixers Interactive” header. Sub-headers include: Sixers ‘ Social Networking, Sixers Players on Twitter, Sixers Staff on Twitter – page is not very attractive from a layout and creative standpoint. • Under “Interact” main tab includes sub links for: Facebook, Twitter, YouTube, Flickr. • Includes universal Meebo footer bar (can be hidden) with feeds for Facebook and Twitter. • Home page includes tab callouts for Facebook Like and Twitter feed. • Players interactive microsite includes links for their Twitter and Facebook accounts – as well as an overall Tweet, Facebook Share buttons. • Under “Social Media” main tab includes sub links for: Suns.com Fan Hub, Twitter, Facebook, Google+, Foursquare, Linkedin, YouTube. • Suns on Twitter page includes a feed and account listings. • Fan Hub site includes icon links for: Google+, GetGlue, Instagram, Facebook, Twitter, YouTube, Linkedin, Foursquare. • Fan Hub home page includes: Twitter and YouTube feed, and thank you message about getting 1,000,000+ Social Followers. • Fan Hub site Social page includes: Facebook, Google+, Twitter account listings. • Includes universal icon links for Facebook and Twitter. • Includes universal Meebo footer bar with Twitter and Facebook feeds, and links for Pinterest, Google+, and Tumblr. • Home page includes a “Social Activity” section that features feeds from: Facebook, Instagram, Twitter, Google+, and Tumblr. Includes sponsorship from Wells Fargo. • Under “Team” main tab includes sub link for Trail Blazers on Social Media. • Trail Blazers on Social Media links to a 3/21/12 post on iamatrailblazersfan.com site and includes: links for Facebook, Google+, Pinterest, Tumblr, and Twitter. Also includes player account listings on Facebook and Twitter. • Includes universal icon links for Facebook, Twitter, YouTube, Instagram, and Google+, also includes Tweet #KingsAllDay and Twitter Follow buttons. • Home page includes scrollable graphical callouts that include: Instagram, Pinterest. • Home page includes a Team Facebook Like callout, Team Twitter feed, and Dance Team Facebook Like callout. • Home page includes bottom row graphics bar featuring “Kings Interact” button w/ SM icons in the design. • Internal pages include Share, Linkedin Share, and +1 buttons. • Under “Fan Zone” main tab includes sub link for Social Networks and King Interact graphical callout. • Social Networks link goes to “Kings Interact” page which includes: Team Facebook feed, YouTube feed, Dance Team Facebook feed, Team Klout callout, Twitter feed, Fans Klout callout, Twitter/Facebook account listings (Player, GameDay, Business Operations), icons for: YouTube, Quora, Dance Team Tumblr, QR Code, Foursquare, Team Tumblr, Linkedin, PicPlz, Google+, Instagram, Wayin, #KingsAllDay Instagram, Pinterest. Also includes callout for Facebook & Twitter Contest/Trivia/Giveaway Rules. • Instagram icon goes to a page with an iPhone-themed housing for the feed images. • Under “Dancers” main tab includes sub links for: SKD Twitter, Facebook, and Tumblr. • Under “Community” main tab includes sub links for: Community Facebook and Twitter. • Under “PBPAV” main tab includes a Kings Interact graphical callout. • Under “Shop” main tab includes sub links for: Team Store Facebook and Twitter. • Includes universal icon links for Twitter and Facebook. • Bottom universal footer nav under “Connect” includes links for Facebook, Twitter, and YouTube. • Home page includes tabbed callout with Twitter feed. • Home page includes tabbed callout with Connect header that includes graphics for Facebook and Twitter. • Internal pages include Facebook share and Tweet buttons. • Most internal pages include Tabbed callout with Twitter feed, and below that a Facebook Like callout in right ad column. • Under “Interact” main tab includes sub links for: Facebook, YouTube, Twitter, and Flickr. • Interact main page includes large icon graphics for Facebook and Twitter. • Includes universal icon logos along the bottom footer with big images for Twitter, Facebook and YouTube. • Home page includes scrollable callouts that includes: Facebook, Twitter and Google+ (2nd click), and YouTube (4th click). • Bottom universal nav callout “Raptors Connected” includes links for: Twitter, Facebook, Google+, and YouTube. • Some interior pages include Like and Tweet share options. • Internal pages include “Raptors on Social” callout with icon links for: Facebook, Twitter, Google+, YouTube, and Pinterest. • Under “Team” main tab includes sub link for Social Media. • Under “Interact” main tab includes sub links for: Social Media, Twitter, Facebook, and YouTube. • Social Media main page is setup similar to the Maple Leafs hub: YouTube feed; Players & Staff on Twitter; Instagram, Twitter, Facebook feeds; Foursquare, Pinterest, Google+ callouts. • Players & Staff on Twitter includes listings with bios and Twitter feeds, as well as Facebook and Twitter callout feeds. • Includes universal scrollable left side share feature for Like and Tweet. • Home page includes tabbed callout that includes a Twitter feed. • Home page callout for “Utah Jazz 360 connect with Jazz Fans” includes icons for Facebook, Twitter, and YouTube. • Bottom universal nav callout “Connect” includes links for: UtahJazz360.com, Facebook, Twitter, Google+. • Under “Fan Zone” main nav includes sub links for: UtahJazz360, Twitter, Facebook, Google+, and YouTube. • UtahJazz360.com site home page includes a Twitter feed, and icon links for Twitter, Facebook, YouTube and Flickr.  • Includes footer Meebo bar with feeds for Facebook and Twitter. • Home page includes tabbed callout with Facebook Like callout – also include in most internal pages in same right column spot. • Under “Fan Zone” main tab includes sub links for Social Media. • Social Media page includes links for: Facebook, Twitter, Google+, Instagram, and Foursquare. • Under “Wizard Girls” main tab includes sub link for Facebook.